Since our arrival in Ireland in 1985, composting as part of recycling household and garden waste has undergone a dramatic change; from dumping grass clippings and putting kitchen waste into black plastic bags, to councils issuing compost bins to households, to the arrival of the brown compost bin and the commercial production of compost through recycling of household and council waste. The benefits of this change, for us and the environment, are obvious. Materials that can be composted account for as much as half of household waste. By making compost at home, in a community, at school or in an allotment, we can not only make a major contribution to waste reduction but, more importantly, to soil fertility and soil renewal. 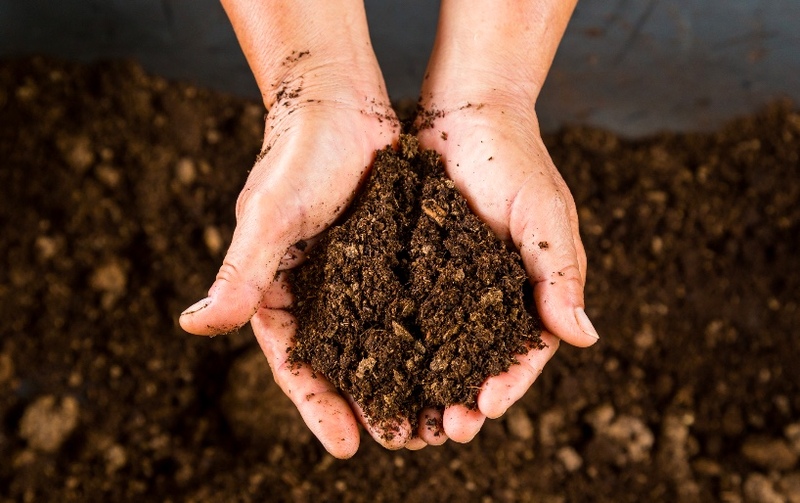 We gardeners call compost “black gold” and we are proud to produce this ever more important fertiliser following the organic mantra: Feed the soil that feeds the plants that feed us. There are many ways we can help to reduce our carbon footprint and combat climate change, and sometimes supporting the environment is as simple as composting organic waste. Every time we compost vegetable peels or garden weeds we limit organic matter from impacting on climate change. This easy action can greatly increase the amount of carbon that is stored in the soil. Composting increases the formation of stable carbon that remains bound in the soil for long periods of time, and compost applied as organic fertiliser also helps slow down greenhouse emissions in arable soil. To read the full article, just pick up a copy in your local stockist or subscribe here. Hans Wieland has worked and taught at The Organic Centre for over 20 years. He has now ‘retired’ to Neantog Kitchen Garden School in Cliffoney, joining his wife Gaby Wieland, herbalist and naturopath. The couple offer a range of courses and workshops in food growing, foraging, cheese-making, healthy cooking and baking.